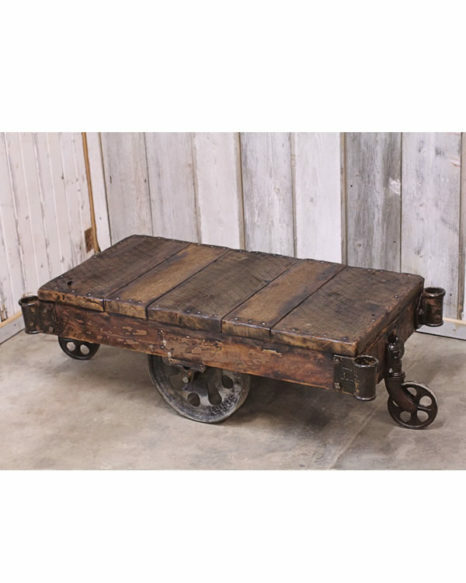 Authentic factory cart originally used in warehouses to transport materials and goods. 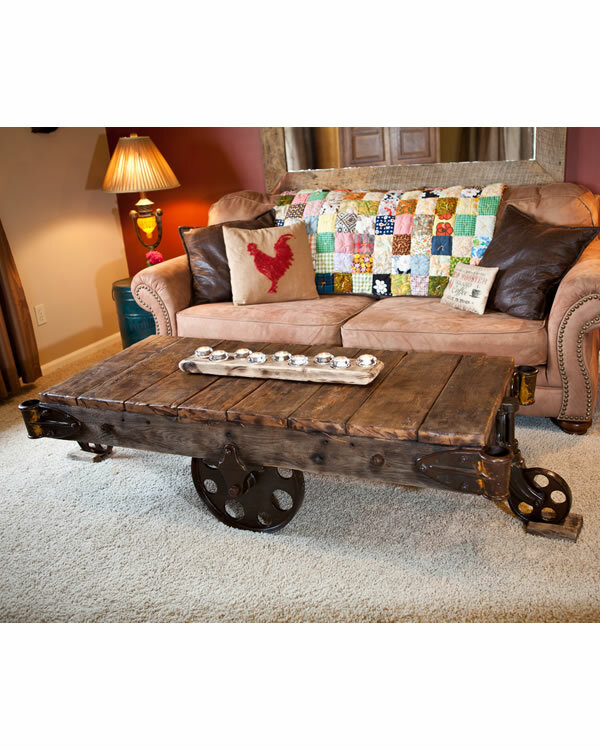 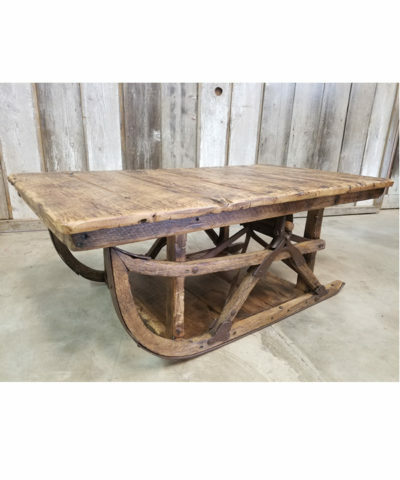 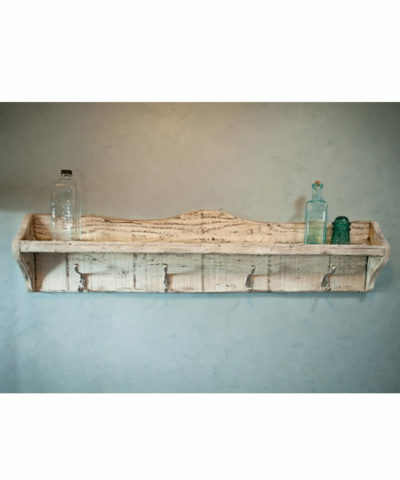 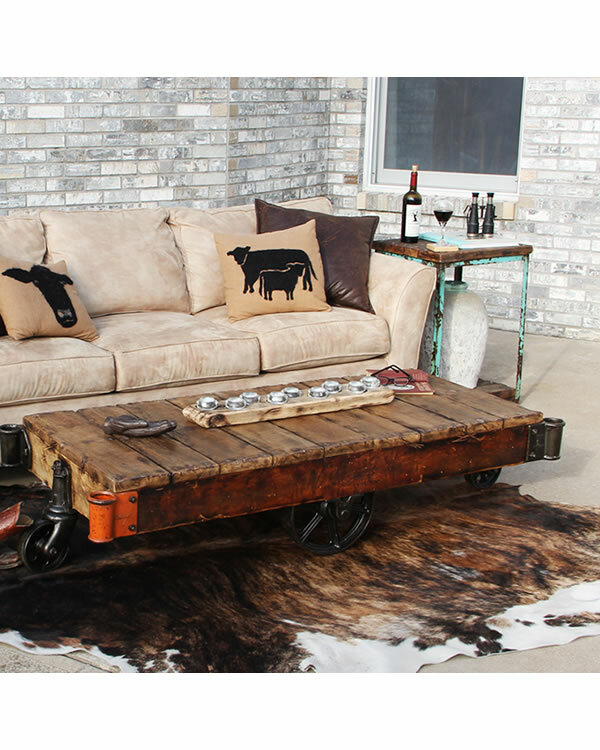 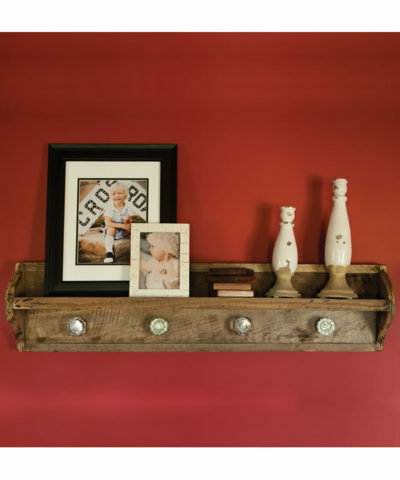 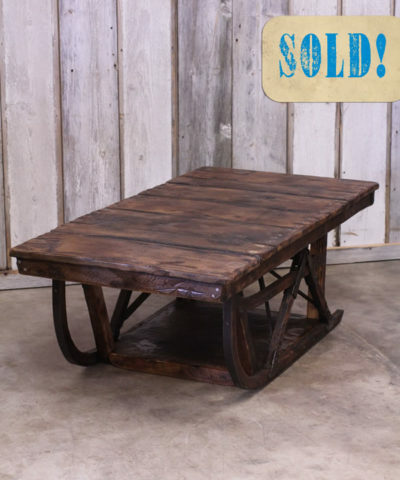 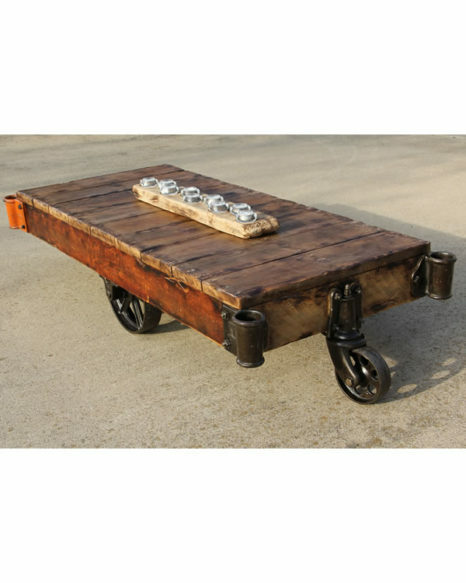 Repurposed as a coffee table with hand crafted top using century old barnwood. 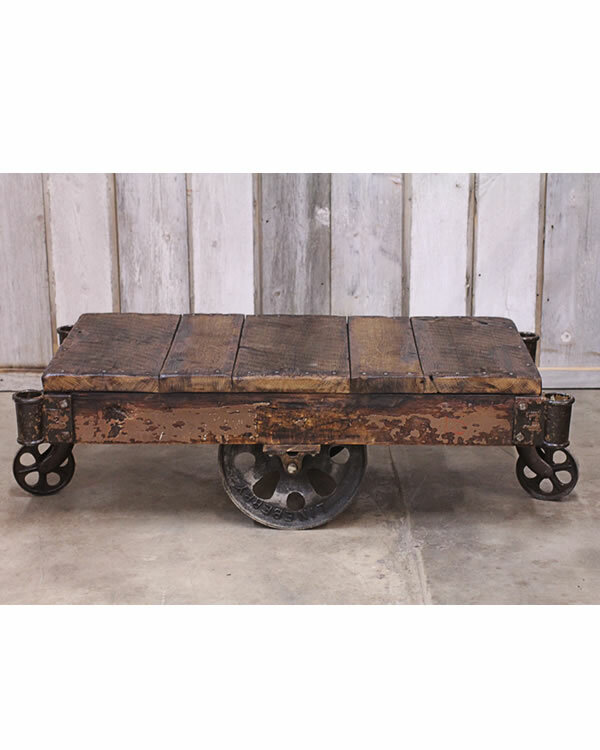 Original Cast Iron wheels, bolts and corner plates. Sealed with poly to bring out the natural beauty of the salvaged century old wood, leaves hardware with a nice sheen and protects floor and carpet from rust. 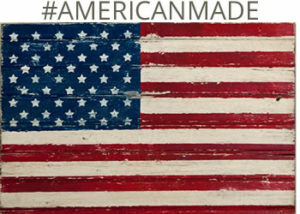 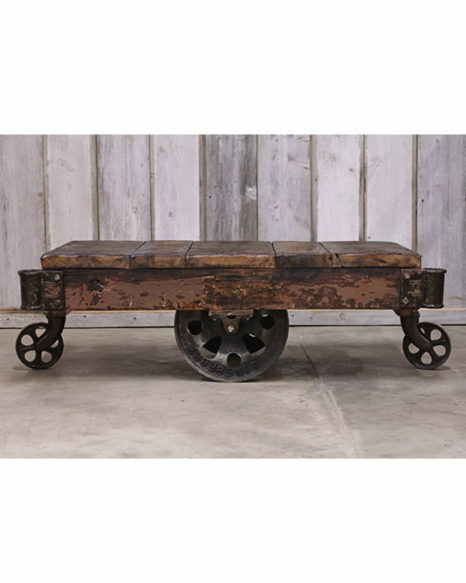 Each cart is an authentic original and will have differences in distressing and wheels making each table a one-of-a-kind.